Samsung has released a new budget smartphone in the Philippines without fanfare or ceremony. 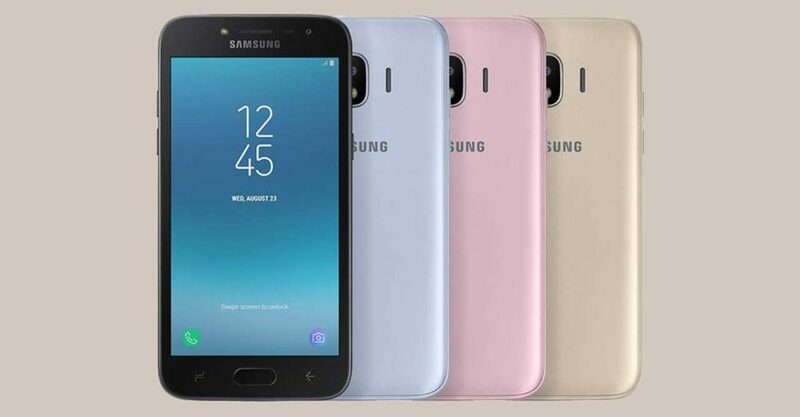 Say hello to the Samsung Galaxy J2 Pro (2018), a Qualcomm Snapdragon-based handset with an AMOLED display, so pictures look brighter, more vivid. Priced at P7,490 (around $146), the 16GB model is now available online through Lazada and offline at MemoXpress stores nationwide. Your choice of colors appears to be limited to black and gold at the moment. The Samsung Galaxy J2 Pro (2018) is a pretty basic Android phone, so don’t expect much in terms of core grunt and features. It arrives with a 5-inch screen and a quad-core Qualcomm processor clocked at 1.4GHz and paired with 1.5GB RAM. It also gets dual-SIM slots, plus support for faster 4G LTE, which has a theoretical maximum download speed of 150Mbps. There are 8- and 5-megapixel rear and front cameras, both with an aperture of f/2.2. The battery is a 2,600mAh unit, while good ol’ Android Nougat is the operating system it ships with. But the biggest selling point here is also the most obvious: that AMOLED screen. Don’t expect it to be high resolution, though. You won’t get that trendy, extra-wide 18:9 aspect ratio, either. The biggest selling point of the Samsung Galaxy J2 Pro (2018) is also the most obvious: that AMOLED screen. The overall package is somewhat thin, so it will be interesting to see how the locals react to Samsung’s first low-priced offering in 2018. What do you think, guys? Sound off in the comments.